Despite the fact that McQueen could not be more hot right now, I have always had a lot of respect for the women who could wear McQueen without ostentatiously participating in a trend. 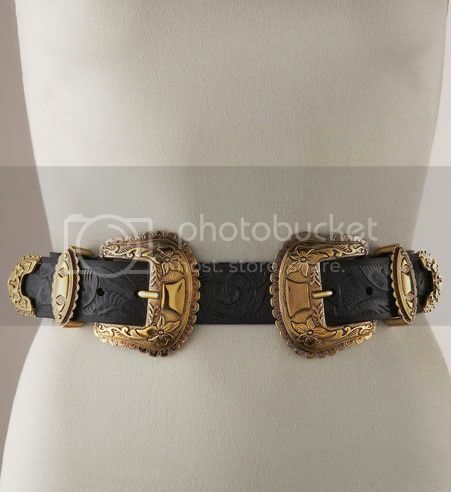 This double-buckle Western belt is an amazingly intricate piece that I could see fitting seamlessly into my wardrobe. The tooled leather and embossed brass buckles give a traditional belt enough detail and excitement to make almost any outfit. I'm thinking that the belt and collar tips might be a bit much? That is one great belt! !